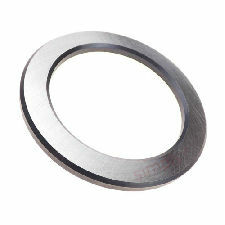 - Bearing washers can be used as housing or shaft locating washers; they are used in applications where precise centring is not required. The bore and outside surface are turned, the running surface is ground. - Bearing washers can be used with axial cylindrical roller and cage assemblies K811 and axial needle roller and cage assemblies AXK.